Handset maker Huawei has already convinced that the company is working on a 5G failable smartphone. 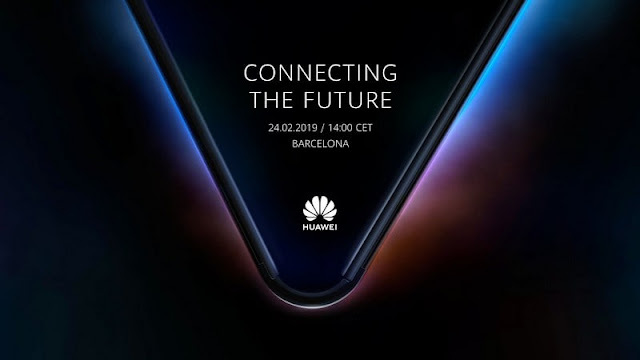 It was then announced that Hoawevo will launch its Foldable Phone in Mobile World Congress 2019 (MWC 2019). Recently, Huawei has revealed that when the company's 5G foldable phone will finally be launched. Huawei shared the Media Invite on Twitter Media Inquate has received information that the company will launch the CET (Indian time at 6:30 p.m.) handset at 2 pm during the event organized in Barcelona on February 24, 2019. Let me tell you, Samsung is about to organize its Galaxy Unpacked event four days before the hawaway event. Media Invite outlines the profile of foldable smartphones. In such a situation, hopefully, the company will take the curtain from its first phone phone during this event. Hyacilon kirin 980 processors can be used in Huawei's upcoming foldable smartphone. Remember, Samsung is about to organize the Galaxy Unpacked event on February 20. During the event, the phone is expected to launch a mobile smartphone with the Samsung Galaxy S10 series. Huawei's 5G Foldable Smartphone can have a 7.2-inch display. The report that was revealed some time ago said that in the initial phase, Huawei will only create 24,000 to 30,000 devices. But at the moment, it is not clear whether the company will bring them to the market. This year, handset maker companies like Huawei, Samsung, LG and Xiaomi can take curtains from their foldable smartphones.